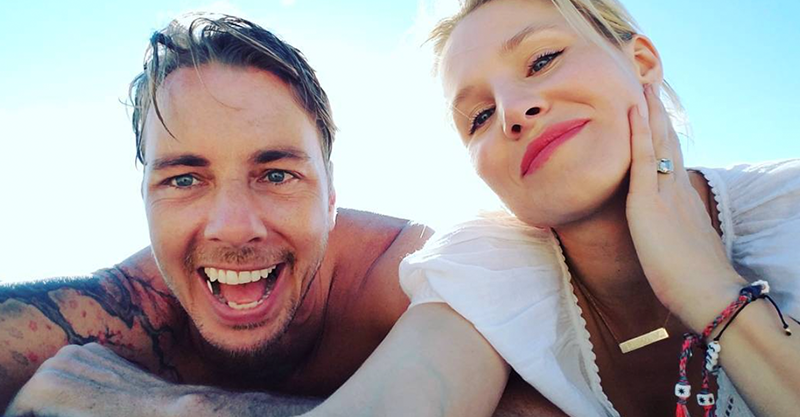 Kristen Bell and Dax Shepard are right up there in our super-fave celebrity parents stakes, and this just-published pic of the couple – working on their hospital run – is the perfect illustration of why. Dax and Kristen began dating in 2007, going on to marry – at the Beverly Hills County Clerk’s Office – in 2013. They now have two little girls, Lincoln (born 28 March 2013) and Delta (born 10 December 2014). Kristen posted the pic on Instagram a few hours ago and fans of this cute couple were very excited to sneak a peek at what must have been a pretty precious moment for the pair. “#tbt to 4 years ago- the calm before the storm. Practicing our ride to the hospital- in our new ‘family car’ (a 1995 wood paneled Buick Roadmaster station wagon). Patiently waiting out month 9,” Kristen captioned the post. The pic – by photographer Chris Lowell – cutely captures the naivety and excitement of preparing to be parents. If you’re curious to see what that set of wheels – 1995 wood paneled Buick Roadmaster station wagon – looks like from the outside, behold the new-school wagon in all its contemporary Brady Bunch glory! Kristen and Dax have gone on to totally embrace their parenting journey. They’re very vocal advocates for breastfeeding and immunisation, and continue to raise awareness of mental health issues and the challenges new parents face, amongst a host of other important social issues. It’s pretty hard NOT to love these guys. Footnote: for what it’s worth, Dax also posted his own throwback shot a couple of weeks ago. Granted it doesn’t feature pretty light and a blooming belly, but it’s got an unimpressed dolphin and a pash and that’s good enough for us.